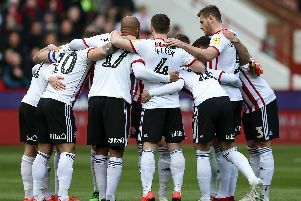 The curse of Football Focus struck Sheffield United this week with one point picked in two games after they were featured. But presenter Mark Clemmit raised the subject of United being the only club in the Championship to have no players from outside the British Isles. Discounting Canada-born Northern Ireland international Caolan Lavery, that has been the case throughout Chris Wilder’s reign. As far as I’m aware Wilder has never explained his all-British policy but I believe it’s entirely down to practical and football intelligence reasons. Wilder frequently mentions the fact that whenever he is evaluating a potential signing he needs to know about the player’s character and whether he will ‘fit in’ with what he requires. That must be far easier when you have a book full of contacts you can ring up and ask what they know about the player. British managers will inevitably have primarily British contacts and have a much easier time finding out the personality of a British player. The same seems to apply with Sean Dyche, Eddie Howe and Neil Warnock in the Premier League; their clubs have many fewer foreign players than most others. It must also be easier for a player to arrive in a new dressing room if he already knows someone in there. You often hear about players from overseas struggling to ‘settle in’, a situation that can be avoided by signing British players who know the circuit. You could see the camaraderie between players after the game at Derby – Richard Keogh heartily embraced his fellow Irish internationals John Egan and Enda Stevens, and former Ipswich team mates David McGoldrick and Martyn Waghorn hugged and walked off together. It is this kind of thing – the British football network, if you like – that at United’s level makes signing home players more predictable and reliable.